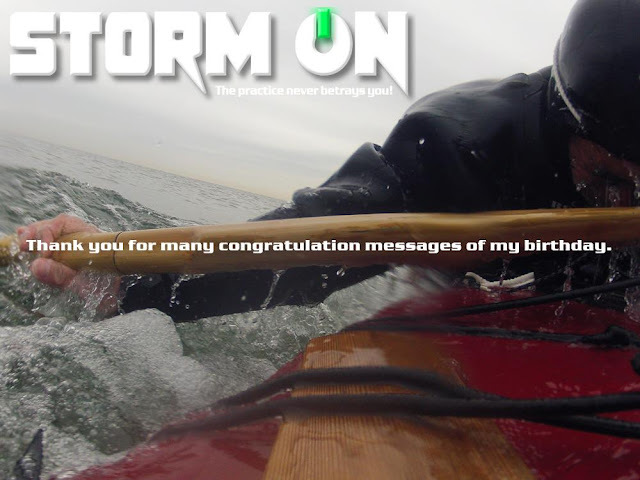 STORM by STORM: Thanks a lot! I obtained the congratulation message of the birthday from many friends on July 5. Thank you very much! This is one year of my 40's last. Therefore, I will step up efforts for time reluctantly. Since my body has aged certainly, I must be cautious also of health. It is required in order that I may enjoy a roll forever. By the way, I think that I will take an official trip to your place for a roll lecture. Please order to me. I'll welcome it. Let's increase "Stormtrooper" all over the world! Thanks again!